So, it took me a while, but I finally developed something that helps! 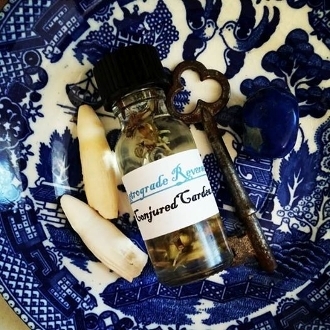 This oil purifies you and your space, protects from the negative effects of retrogrades, and has an ingredient to counter act any left over bad fortune not associated with the retrograde. This is important because residual misfortune can be enhanced during these planetary movements. Track the retrogrades using a good source, mark them on your calendar and have this oil ready to wear the first day it hits! Created with frankincense oil and resin, lemongrass oil and herb, and ylang ylang oil with devil's shoestring.